Cumberland Telephone’s wireless internet has a licensed frequency granted by the FCC to provide better service for the increased demand in broadband. In addition to our local service area we have expanded our coverage area to include most of Cass County, Iowa (including Atlantic) and Adair County, Iowa. Our tower equipment is located east and south of Cumberland and south of Atlantic, Fontanelle and Greenfield. CTC does not require a contract, there are NO equipment or installations fees and CTC offers unlimited data usage. Our rates are based on speed. If you are wondering what internet plan you should use, here are some things to consider. Pricing is valid for customers outside of our telephone service area. The technician will need to mount a small panel (radio) to the side of your house or roof. He will then run a line from the panel to the location of your computer or router. This includes drilling a hole in the side of your house. We provide the internet connection to your home and do not setup televisions or electronic equipment. Standard installation includes up to 30 feet of CAT 5 Ethernet cable and if digging to bury cable is involved, there are additional charges as this is not considered a normal installation. If you require over 30 feet of CAT 5 Ethernet cable there will be a $.50 per foot charge. Q. Is High Speed Wireless Internet available in my area? A. Call our office at 712-774-2221 or 888-774-2221 to schedule a site survey to find out if you can receive service. CTC does not charge to “test” to see if service is possible at your residence. You do not need to be home for the site survey..
Q. I was told that CTC serves my area, but when the tech came out he couldn’t get me service, do you know why? A: Our techs have parameters in which they use in order to get you a good solid wireless signal to your house; if the signal is not strong enough they will not install the service. Causes may be due to buildings and trees obstructing the panels or you may be too far away from the tower site or possibly down in a valley. Q: Do I have to sign a long term contract and is there an installation fee? A: CTC does not require a contract and there is NO installation fee. However, if your internet service with CTC is less than 6 months, we will charge you a $60 disconnect fee. Q: Am I responsible for the equipment they put on my house? A: CTC does not charge you for leasing or purchasing of our equipment when internet is installed, however if you disconnect service and do not return the equipment to us you will be charged $300 for the equipment. So always call CTC to schedule a pickup of equipment if you are disconnecting service. Q: Can I have my bill direct payment from my bank each month? A: Yes, we offer direct bill pay and your payment can be automatically deducted from your bank account. Q. I see you offer faster speeds. How can I go faster? A. The upgrade is free and allows you to obtain the higher speeds. If you would like faster speed option, please contact us to see if you are eligible. The upgrade can be completed within 24 hours from our office. Q. Does your Internet Service work with my gaming system? A. Yes, in most cases any gaming system will work with CTC’s Internet Service. We recommend that a speed package with 6 Mbps is used for gaming. Q. I have more than 1 computer, including a laptop. What do I need to get them networked wirelessly? A: You will need a wireless router, which is your responsibility to purchase prior to installation. If you do not have wireless router available at the time of installation, a second trip to complete the installation would include a $60 trip charge. Q. I worry about getting a virus on my computer, what do you recommend to protect my computers? A. We offer SecureIT which will protect and remove viruses, spyware and adware from your computer. There is also a firewall protection, plus many more benefits. If you are interested in purchasing SecureIT, please contact the office. Q: Is there a way I can check my email remotely? A: Yes, you will need internet access. Go to http:// www.netins.net and click on the “Webmail” link. You will need to insert your user name and password. Once you do that it will take you to any unread emails. If you forget your username and password please contact our office. Q: How can I check the speed of my internet connection? A: Go to the website http://netins.net/speed.htm or do a Google search for netins speedtest. Click on begin test and it will measure the upload and download speeds. It’s that easy! Q: Do you offer phone service or cable TV? 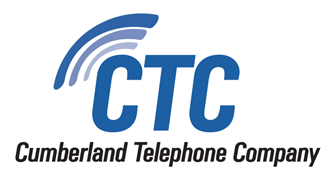 A: CTC only offers phone service to residents within the Cumberland exchange. Q: I hear the words DSL, Cable, wireless internet – what is the difference? A: The difference is how internet service is delivered to your home. DSL is through the telephone lines of your local telephone company, Cable modem internet is delivered through the cable of cable TV companies and wireless internet is delivered by attaching a panel to the home to pick up the internet signal from a wireless internet provider such as CTC. It is the policy of CTC that if an internet account is 60 days past due it will be disconnected by the 10th the following month unless arrangements have been made to pay the outstanding balance. If the account is reconnected after a disconnect there will be a $75 reconnect fee after the outstanding balance has been paid in full. Low-income telephone and internet assistance is available to qualifying low-income Iowans as part of a federal support program. “Lifeline Assistance” is available through Cumberland Telephone Company. “Lifeline” is a plan that assists qualified low-income Iowans by providing a monthly credit on their telephone or internet bill. Iowans who participate in one or more of the programs listed on the Low-Income Telephone Assistance Application are eligible for telephone assistance. To apply for low-income telephone or internet assistance, applicants should contact our office at 712-774-2221 for more information. Have your payment withdrawn from your checking or savings account each month with Automatic Bill Pay. Contact our office for details. Copies can be made or faxes sent from our office for a small fee.